Aakash: The World's cheapest tablet for only $35! Aakash: The World’s cheapest tablet for only $35! Today, the world’s cheapest tablet called Aakash, an answer to India’s poverty, was introduced in New Delhi. The cheap tablet was unveiled by the Indian Union Minister for Human Resource Development, Kapil Sibal. The Aakash tablet is insanely priced for around $35 USD only. 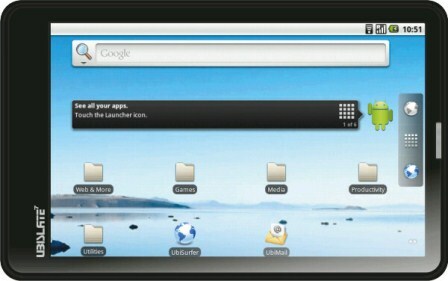 Aakash, the 7-inch touch screen tablet, comes from the Hindi word meaning Sky. It is made/manufactured by a not-so-popular UK based company called Datawind and Indian Institute of Technology Rajasthan. Although the tablet has a very very cheap price, it is expected that it has lesser features and capabilities compared to iPad 2, Kindle, Galaxy Tab and other big tablets out there. It can do basic task like word document processing, web browsing, video conferencing and the likes. See Aakash tablet specs below. Based on the specs above, Aakash is not that powerful and speedy, and may not be suitable to perform multitasking. But it can perform most of the basic functions. It can deliver what the students need at the same time offer a very very affordable price. India intends to make 100,000 Aakash tablets for pilot testing and is planning to deliver 10 million more tablets across India.